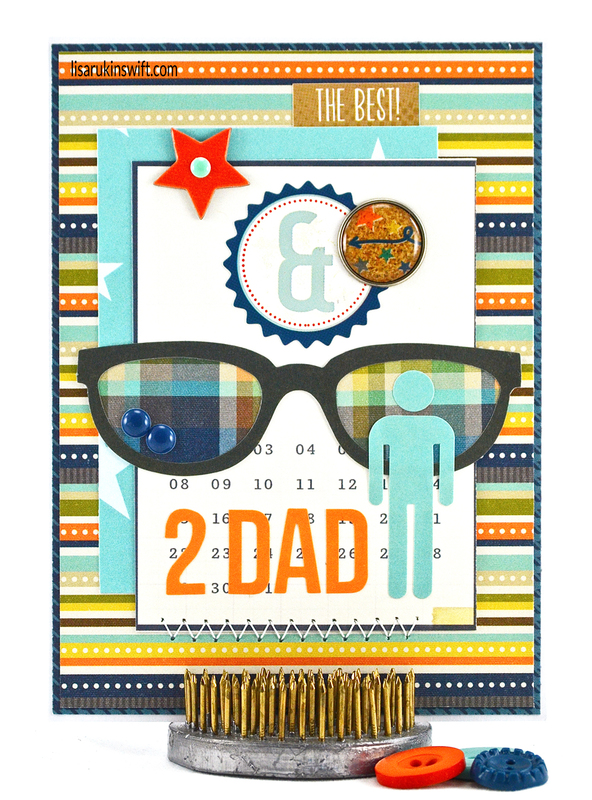 I'm still working on Father's Day cards (and should probably think about making one for my husband) for my Etsy shop. This one is definitely for the best dad ever — a cool dad. Very cool - especially with the shades. Very manly. love all your layering and varied elements! great colors! Very cool! LOVING those shades!!!!!!!!!!!!!!!!!!!!!! Definitely a rad card, Lisa! I am so in love with this card - one of my kids favorite pictures of their dad is one where he is wearing shades and driving us to Seattle - such a fun road trip!! So this card really resonates with me - and I think it is so super RAD and COOL! !